Sometimes you don’t want a fancy meal, sometimes you just want a really good sandwich. 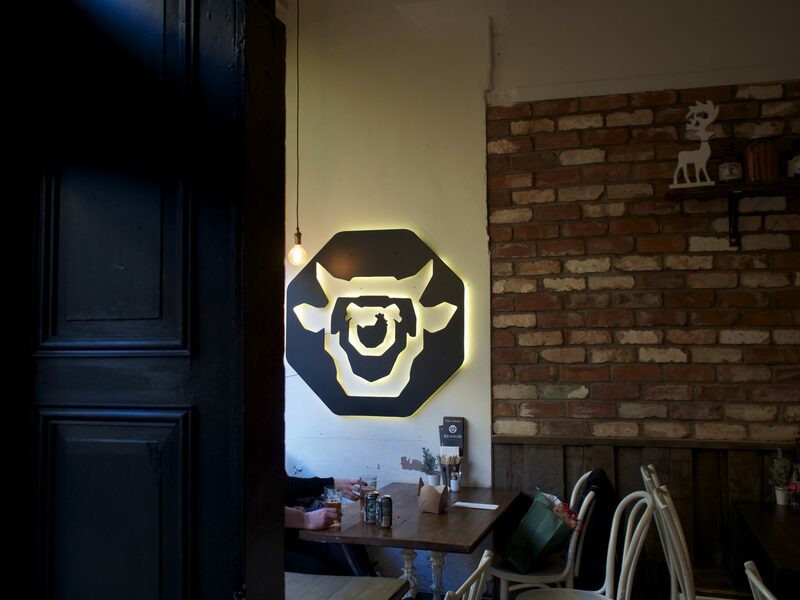 Newcastle is awash with burger places and smokehouses, but until recently it’s been seriously lacking in decent sandwich places. To call Kracklin a ‘sandwich place’ is doing it a bit of disservice though. The first impressions we had were this place is COOL. 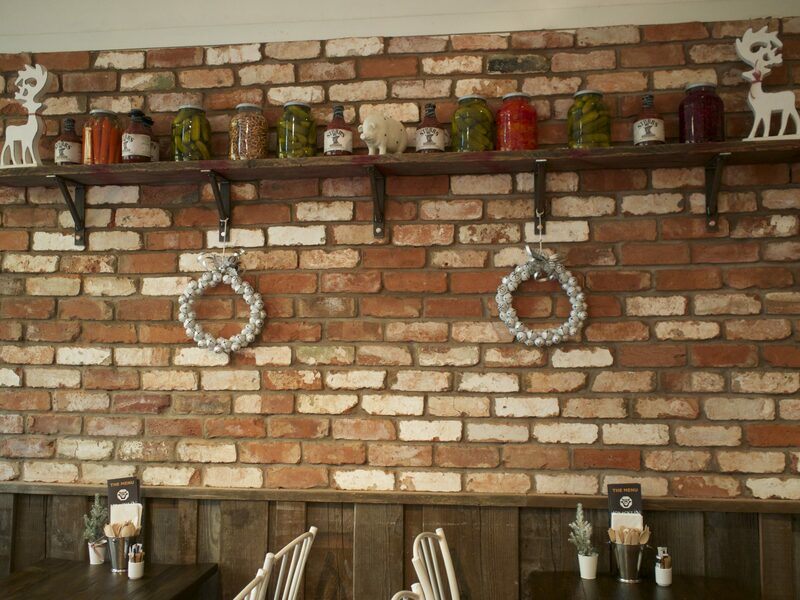 Small but perfectly formed with an interior that manages to be both cosy and hip. We perused the menu, which focuses on sandwiches, poutine (chips, cheese curd and gravy – I was ON BOARD) and sides. I chose a Badass Reuben and some Trailer Trash Poutine and the Mr selected a Porchetta Dip and sweet potato fries with smashed avocado. No kids menu here but Little Dude was happy to share some of ours. We sat by the window on a rainy late December lunchtime and loved the people (and bus!) watching opportunities. 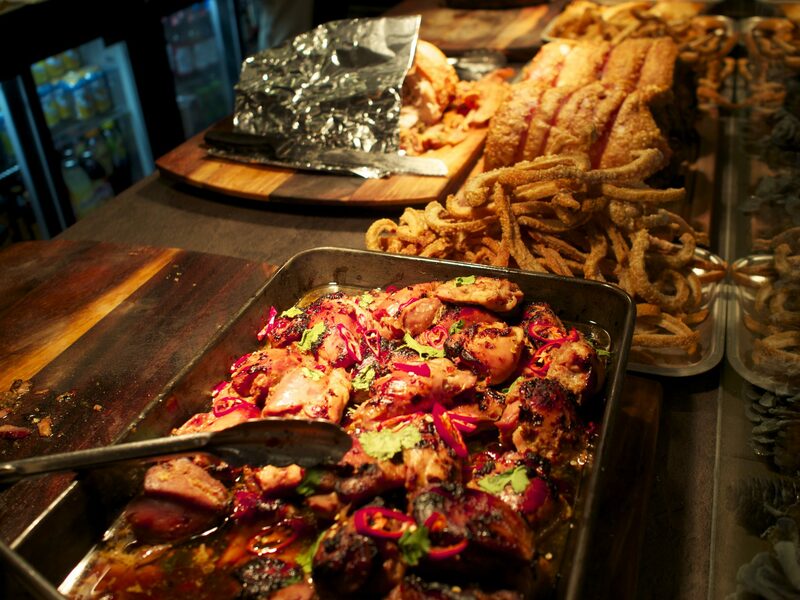 Our sandwiches arrived looking AMAZING. 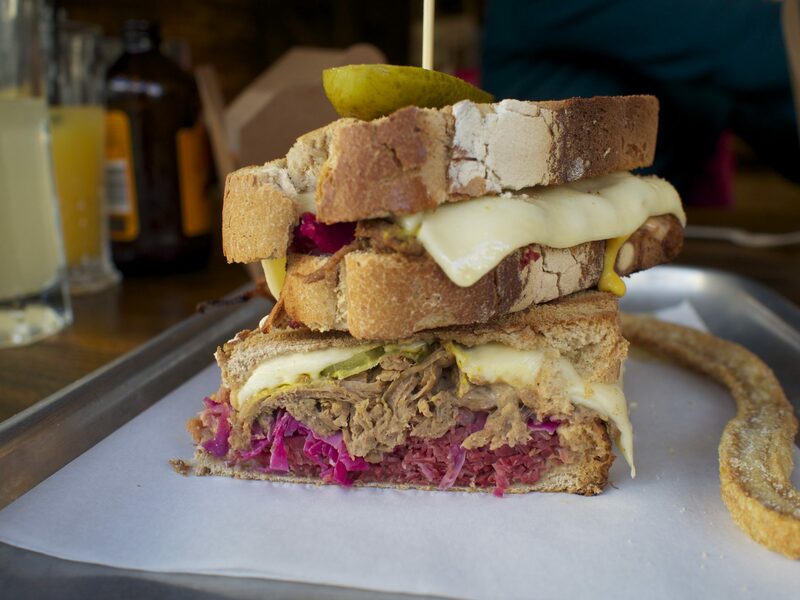 It felt a bit like an episode of Man v. Food where he finds a quirky little deli in New York, not your usual sandwich shop in Northern England. 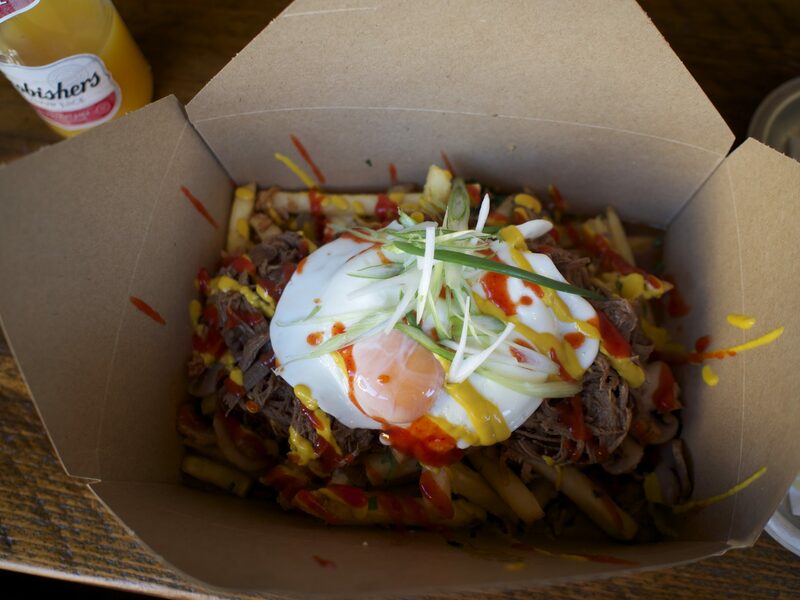 The trailer trash poutine – classic poutine with beef brisket, mushrooms, sunny-side-up egg, spring onion, hot ketchup, crispy onions, & French’s yellow mustard (£9.50) was just about as indulgent as you can get and it tasted goooooood. 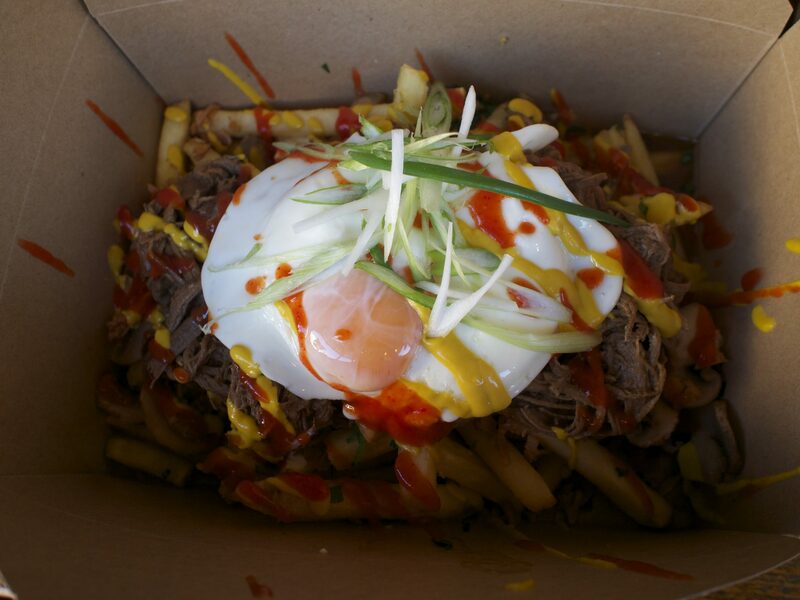 A bit spicy, a bit cheesy, lovely pulled beef, just the right amount of saltiness and who doesn’t love a fried egg? LD had most of that but I let him off….. 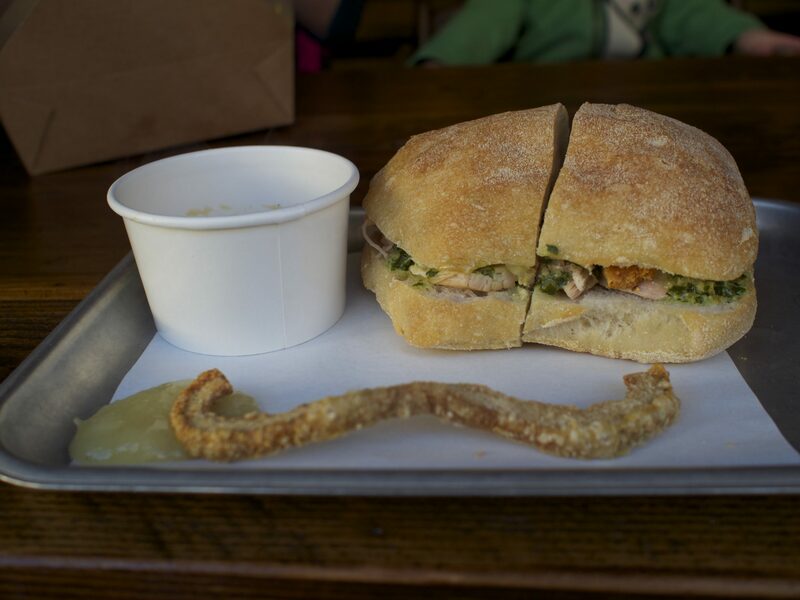 The Mr’s Porchetta (slow-roasted pork seasoned with aromatic herbs and spices – topped with green salsa verde on a ciabatta with crunchy kracklin served with Mother’s apple sauce, salsa verde, a pot of house gravy to dip with crunchy kracklin – £8) was like a super pimped pork and stuffing sandwich. With freshly baked ciabatta and some gravy to dip it in. 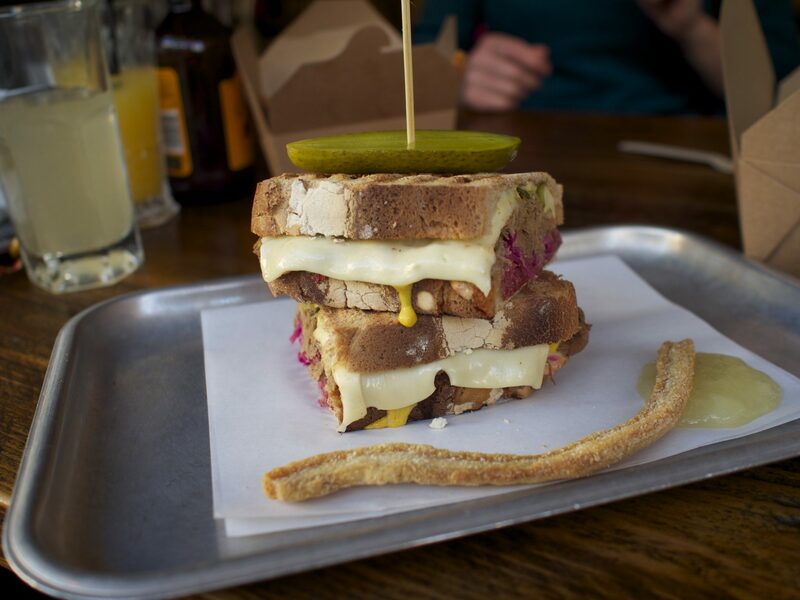 He proclaimed it ‘The best sandwich I’ve ever had’ and asked for extra gravy to dip it into. A decision he later regretted as it was a bit too salty, his tip is don’t be greedy and stick to one dip! 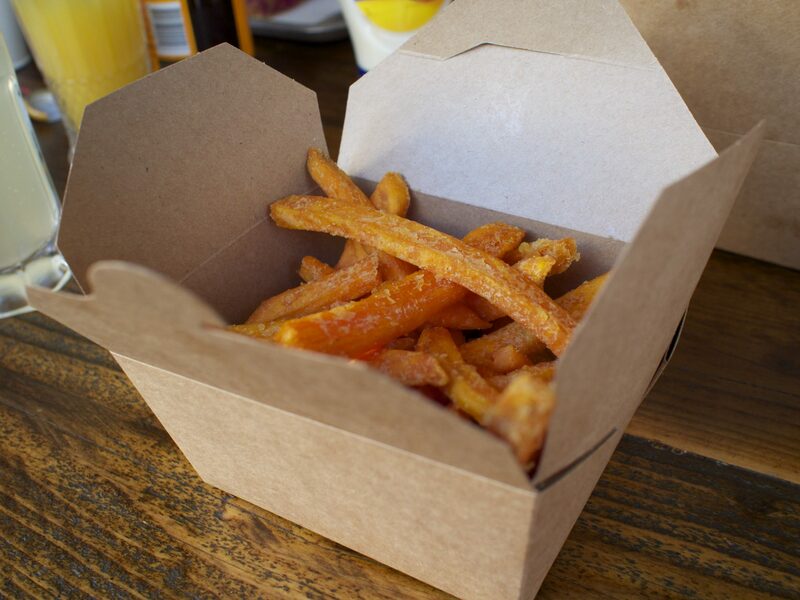 The sweet potato fries were a great accompaniment especially with the smashed avocado dip they are served with (£4). Kracklin is currently only open ’till 5pm weekdays and 7pm on Friday and Saturdays but there are plans in place to extend beyond this. They have an alcohol license so it’s a great place to grab a beer and some great grub, so if you’re sick of burgers and want a sandwich worthy of a new York deli, head to Kracklin. 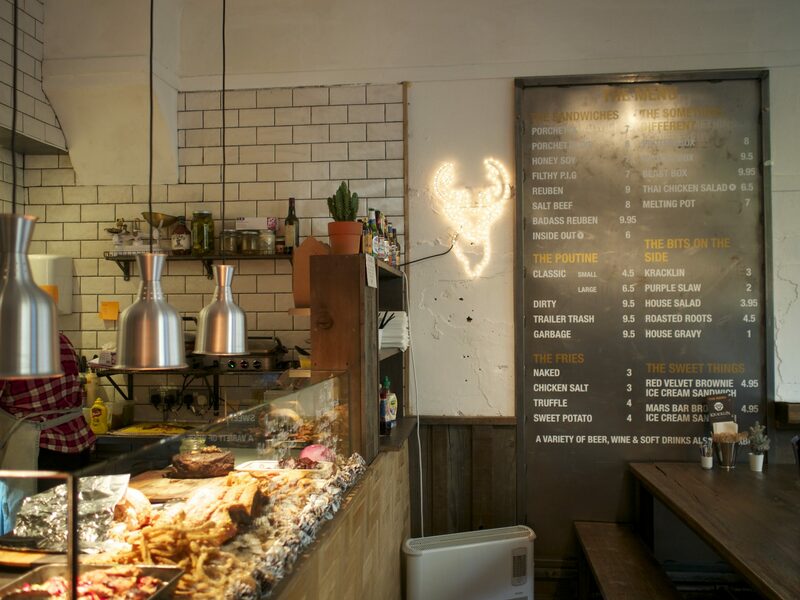 It’s a little more expensive than your average sarnie shop, but oh so worth it! 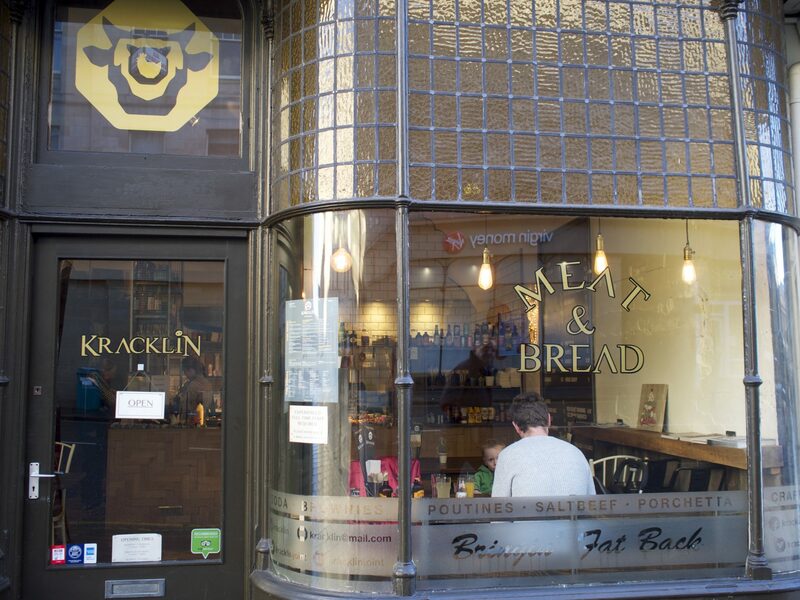 Kracklin is located at 1 Market Street, Newcastle upon Tyne NE1 6JE.